We're still adding names to our appeal to Rick Hansen and his foundation for a cure for chronic spinal cord injury, and we want you to add your name, too. You can sign and never leave this page, just by looking at the end of this post. 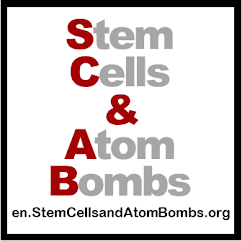 Today, we have Barb from Canada who tells us why she signed and wants you to sign. It's not too late for you to listen to Barb and sign the appeal at www.bit.ly/RickHansen or at the bottom of this page. So what does Barb say? "As a C-1 vent-dependent quad, slogans about independence or wheelchair sports do not offer me much consolation, while a "research" budget almost void of actual cure efforts offers me no hope whatsoever. Where is the urgency? 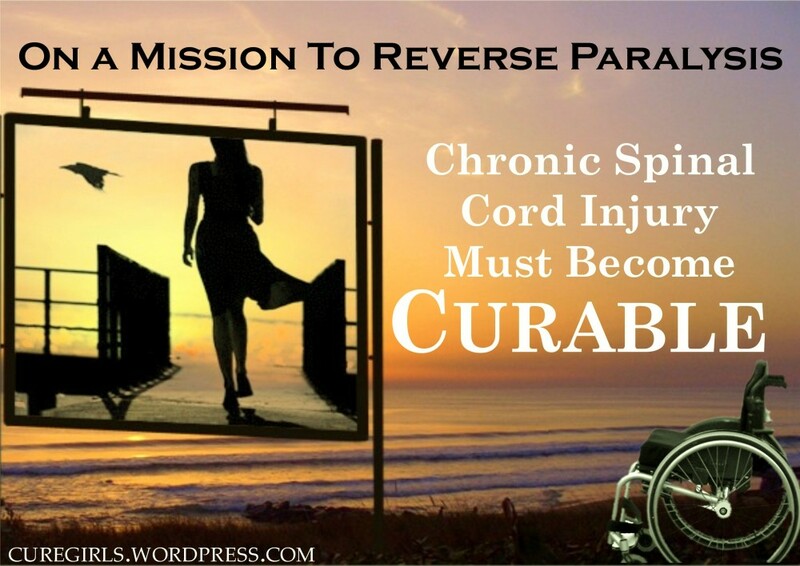 Where is the prioritization of clinical trials that will repair spinal cord injury rather than perpetuate it as a cottage industry? Anyone in my situation would be very foolish to question the value of sci quality of life and care research, but there must be a greater balance in resource allocation. 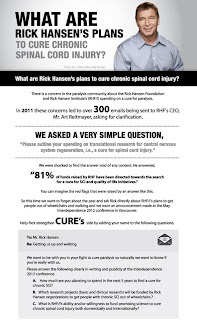 The Rick Hansen Institute cannot claim to be a world-leading cure institute when it devotes so little of its considerable funding and support to the only type of research that will make "a world without paralysis after spinal cord injury" a reality rather than an empty catch-phrase. Please sign this petition if you agree."